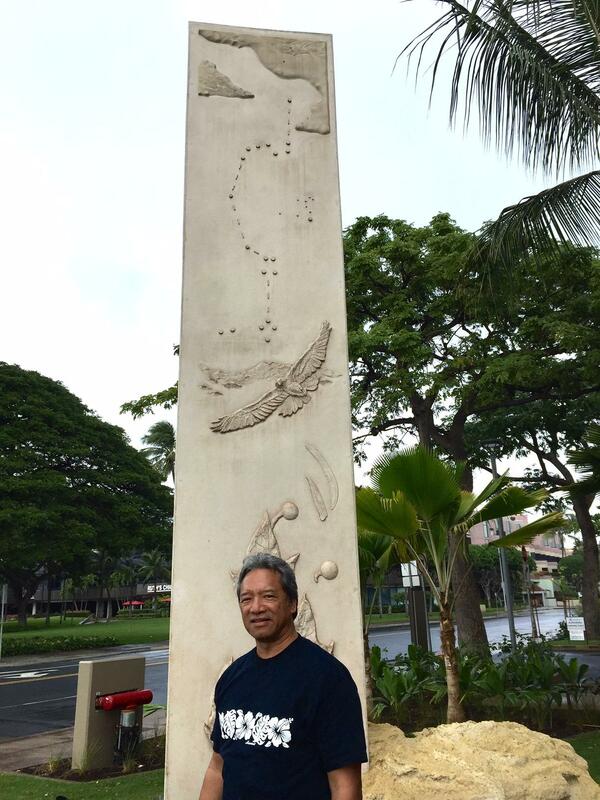 Kawika Eskaran, "Kūkulu Ho‘omaluhia," sculpture at the corner of South Street and Ala Moana Boulevard. Eskaran, a master carver, incorporated traditional symbols of peace and celestial navigation in this work. 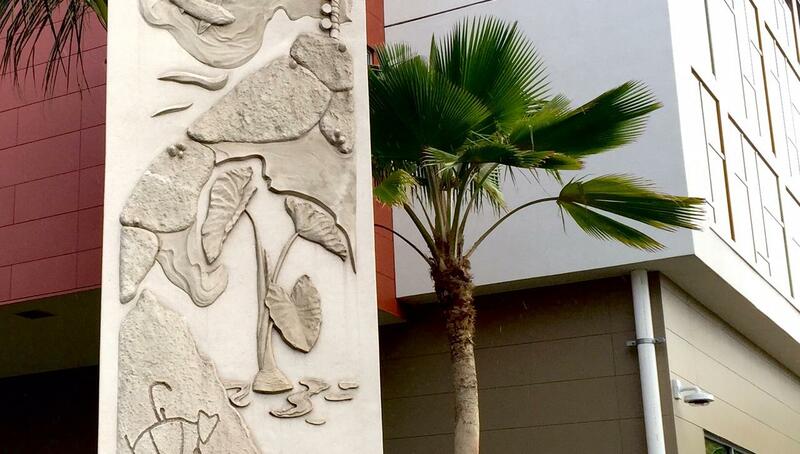 Kukui nuts and leaves are depicted on the sculpture behind master carver Kawika Eskaran. Above his head, an 'io, Hawaiian hawk, rises with a swelling wave, and above that, the navigational key Eskaran explains in this story. 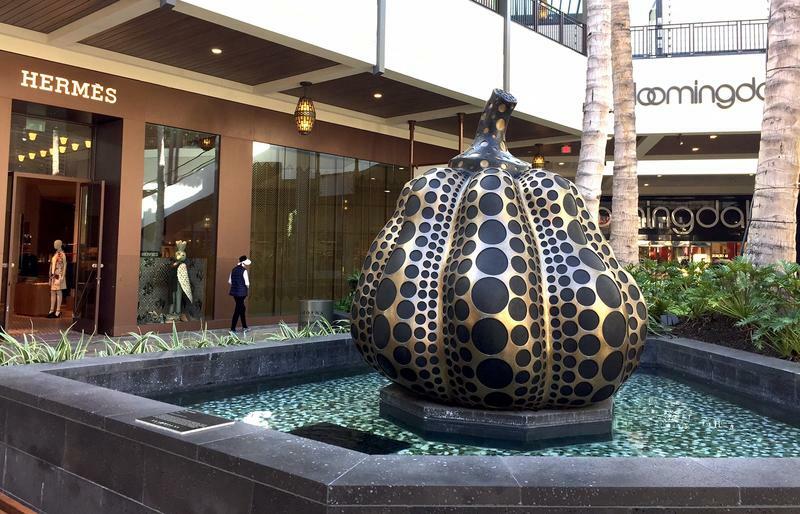 Kawika Eskaran’s sculpture, Kūkulu Ho‘omaluhia, is at the corner of South Street and Ala Moana Boulevard. See it, and more private art in public places at hawaiipublicradio.org . 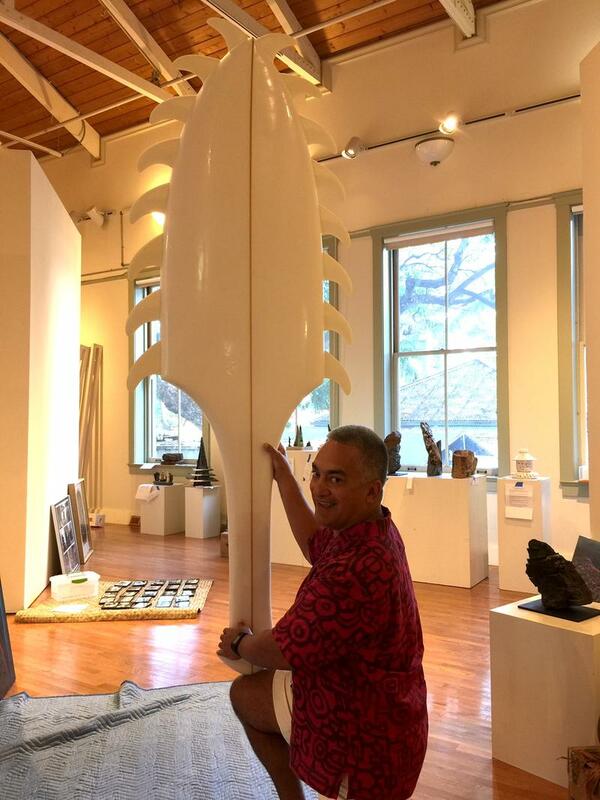 Master carver Kawika Eskaran pictures life in Kaka‘ako as it was lived in the area around his new sculpture, Kūkulu Ho‘omaluhia. Kūkulu refers to the Hawaiian stilt, the kūkulu ‘ae’o . “Because of all the ponds that were located here, for kalo, for making salt, and things like that, that bird was very much identified with this location.” Its long legs and long beak perfect for picking through water. Eskaran says difficult things happened in this waterfront area. Eskaran points to a pattern near the top of his sculpture. That’s a huge margin of error, though, or what? The sculpture is oriented so the point on the sculpture points to the North Star, the only immobile star in our sky. Now you know. 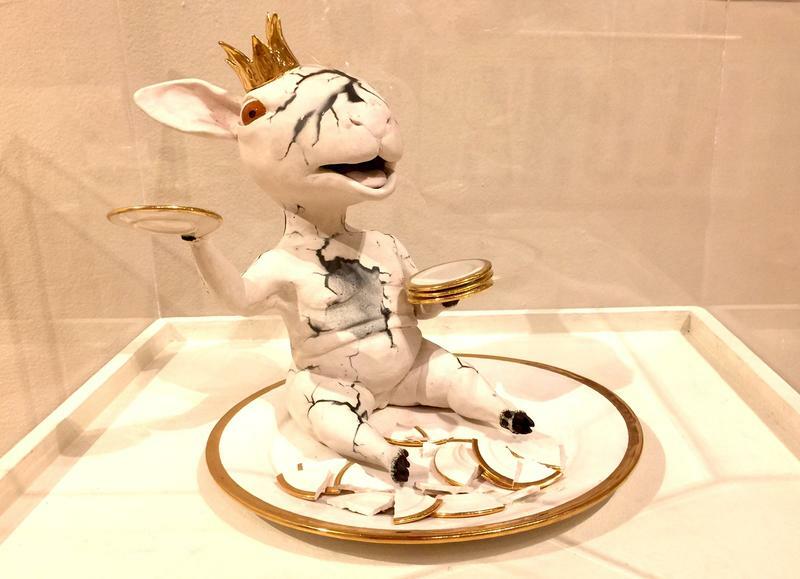 Find more private art in public places in stories below.